JEEPERS! 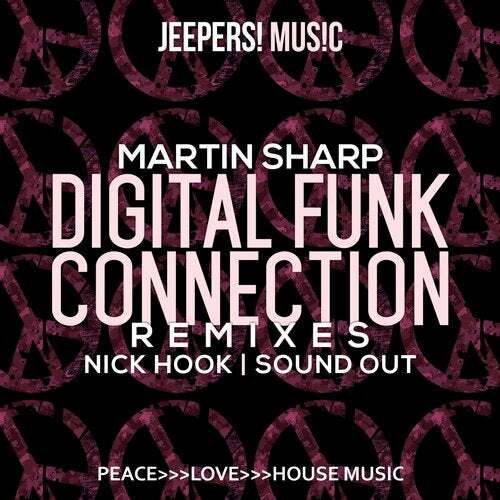 proudly presents two awesome remixes of MARTIN SHARP's 'Digital Funk Connection'. The seriously funky 'Digital Funk Connection', with it's deep bass line, filtered disco guitar and infectious percussive groove, was released on Jeepers! last year, and now it's time for these seriously fine remixes. NICK HOOK steps in with one of his best remixes to date, utilising the filtered disco guitar through-out, while adding a massive deep bass line and a very funky percussive groove. Irish DJ/producer duo SOUND OUT give you a top-notch tech-house remix, with a deep sub bass, plenty of ravey stabs and a massive drop that will definitely get heads spinning and bodies wiggling. We think you will agree that these are two top-class remixes of a great track.